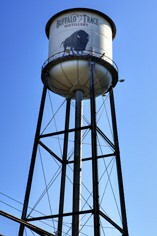 Buffalo Trace Distillery, located in Frankfort, Kentucky, is among the leading brands of fine bourbon whiskey. It has historically been known by several names, including most notably, the George T. Stagg Distillery and the O.F.C. Distillery. Its namesake bourbon brand, Buffalo Trace Kentucky Straight Bourbon whiskey, was introduced in August 1999. 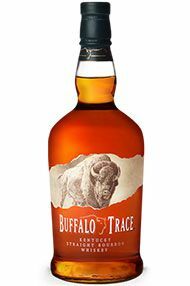 This multi award winning Bourbon from the oldest continuously operating distillery in America, Buffalo Trace, is made from carefully sourced local corn, rye and barley malt. Aged for years in new American oak barrels, the whiskey is caramel coloured with vanilla, toffee and cinnamon on the nose. On the palate there are notes of brown sugar, coffee beans and spice that gives way to oak and toffee, with a long and sweet finish.